Hotel Shimla Heritage is a modern hotel located on Bangali Pooja Road in Karol Bagh. Popular landmarks nearby include Karol Bagh Tricona Park, Rock Garden, and St. Michaels Church. The hotel is elegantly furnished and decorated in the style of a heritage hotel. 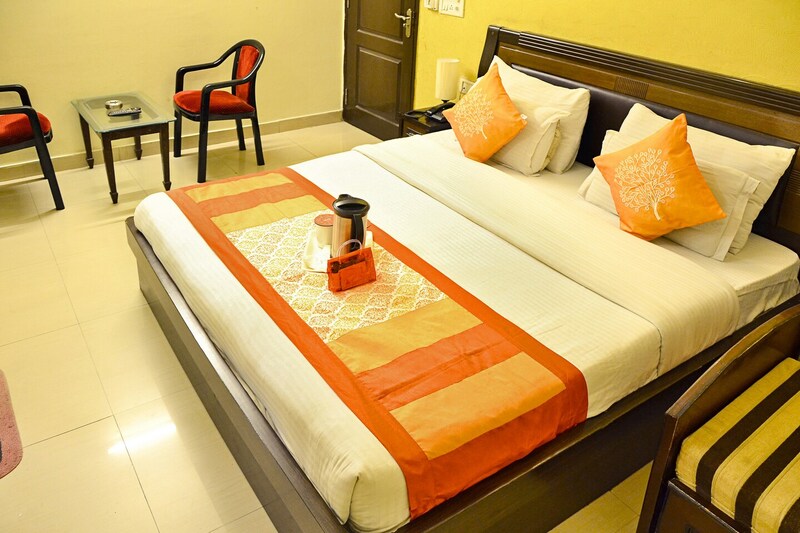 The elegant rooms are equipped with free Wi-Fi, king sized bed, AC, TV, and mini-fridge. Other amenities that are offered include an elevator, power backup, and a banquet hall. The closest market is the famous Karol Bagh market. Several popular eateries include Suruchi Restaurant, India Kitchen, Kings Chinese Point, Kerala Hotel, and Om Sarvana Bhavan.